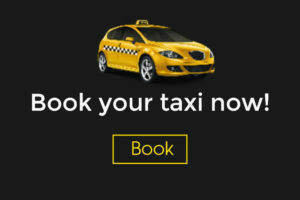 Athens taxi tours in Greece | Book now your private taxi tours in Athens! At Athenian taxi, we provide private Athens taxi tours. You can choose a fixed 4-hour or 8-hour Athens tour or create a customized tour. In order to learn more details about our fixed tours, please click on the links above. You can also, navigate from the main menu. Mouse over Athens tours on the main menu. Then, you will see a submenu of 3 options. Choose the 4-hour, 8-hour or customized tour in order to see our fixed tours. The price for Athens taxi tours is fixed as you can see above. Although, these prices are per vehicle and not per passengers. In other words, if you are 1, 2, 3, or 4 passengers you will be charged for one vehicle. Alternatively, you can book more than one taxicabs. For example, if you are a group of 10 persons you can charge 3 taxi cabs. Hence, you will pay a price per vehicle and not per person which will save you money! On more advantage of our Athens transfer tours is that you can combine our services. For example, if you are arriving at Piraeus Port at 10:00 am and your flight leaves at night, you can book an 8 hour Athens tour to meet Athens. In that way, you will take advantage of your waiting time and visit Athens Famous Greek Sights and places of Interest like Acropolis, Monastiraki, Soynio, Agora. Even more, your Athens tour driver can guide you to a traditional Greek Restaurant or at famous Athens Stores where you can do your Shopping! Have more questions? Want to get a price quote? Please contact us or Fill our booking form now!